Like any new addition to your home, an outdoor kitchen can be a big investment. Between design and installation, the entire process can take months to complete. 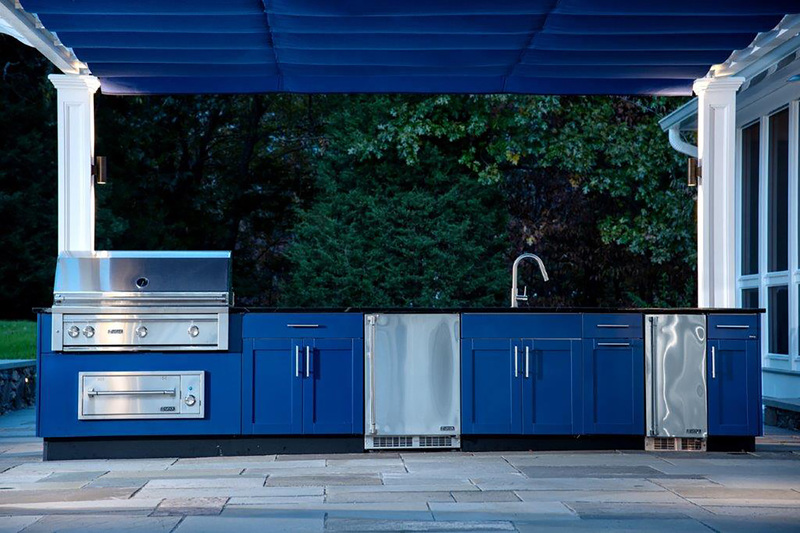 The result, however, is irrefutable – a beautiful, fully functional outdoor kitchen. There is a reason why outdoor kitchens have become increasingly popular over the last couple of years. Not only are they versatile and convenient, but they increase the useable space of homes, as well as its resale value. Here are four reasons why you should invest in an outdoor kitchen. When it comes to outdoor entertaining, you can’t beat the versatility of an outdoor kitchen. 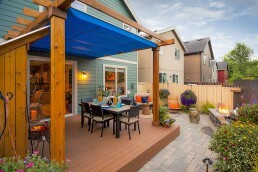 As food is being prepared on the patio, your guests and family can gather around and socialize. It might get crowded in an indoor kitchen when everyone hangs out with the cook, but the outdoors has more space. 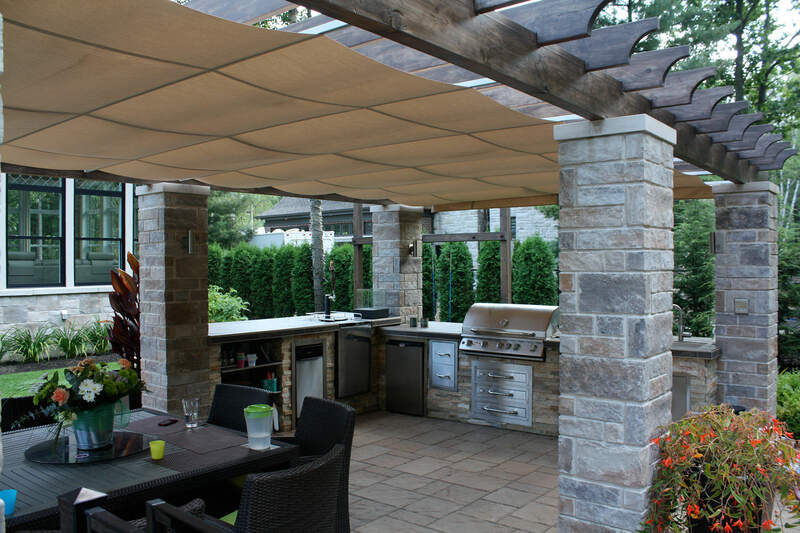 You can increase the comfort for your guests by adding patio heaters, outdoor furnishings, lights and of course by covering the space with a retractable canopy. Outdoor kitchens should be designed with your unique backyard space in mind. You are able to customize the layout, specify which appliances you want, and incorporate all the elements you need to cook and entertain in comfort. 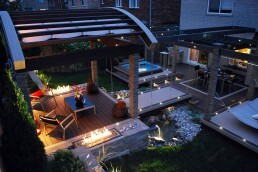 With an endless number of options, you can create your own ultimate outdoor entertaining space. When you build an outdoor kitchen in your yard, you should have everything you need to create the perfect meal at hand’s reach. Gone are the days of running to the kitchen to check on your side dishes or to wash your hands after handling raw meat. 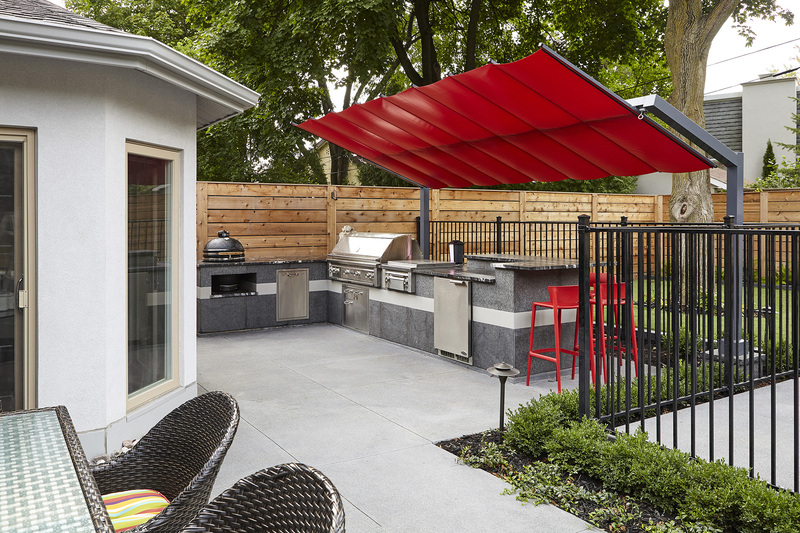 With an outdoor kitchen, you can store cookware, dishes, supplies; you can do all your preparations; and, most importantly, you can stay engaged with your guests even while you are hard at work. There is also that chance of getting barbecue sauce, wine or other sticky stains on your upholstery. With an outdoor kitchen, that worry is eliminated. You prepare your meals outside and enjoy them on the patio without fear of mess. If a spill happens you can spray your mess away with a garden hose. 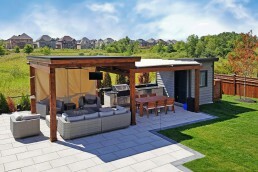 An outdoor kitchen often doubles as an outdoor dining area, living room and entertainment space. This means you will increase the amount of useable space of your home, letting you host larges parties without your guests feeling cramped. In addition, your new outdoor kitchen space offers more cooking opportunities than on the inside. From built-in grills, ceramic grills and smokers, the list goes on and on. All of these cooking techniques will expand your food selection. Baking a pizza in the oven is great but baking a pizza in your outside brick oven, is even better. An outdoor kitchen may be super practical, but it also adds a luxurious feature to your home, increasing the perceived value in case you ever choose to sell. The “oohs and aahs” you will receive from potential home buyers will be what sets your home apart. 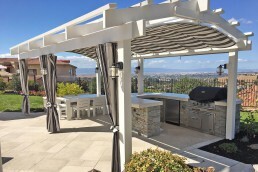 Outdoor kitchens increase the monetary, aesthetic, and functional value of your home. Here is the key though; quality materials and craftsmanship. Stainless steel appliances are made to withstand the elements from the salty coastal air to freezing winters. In addition, by adding our retractable shade you can protect your investment from the harsh sun and rain. Using top grade appliances and quality materials will keep your outdoor kitchen looking brand new. 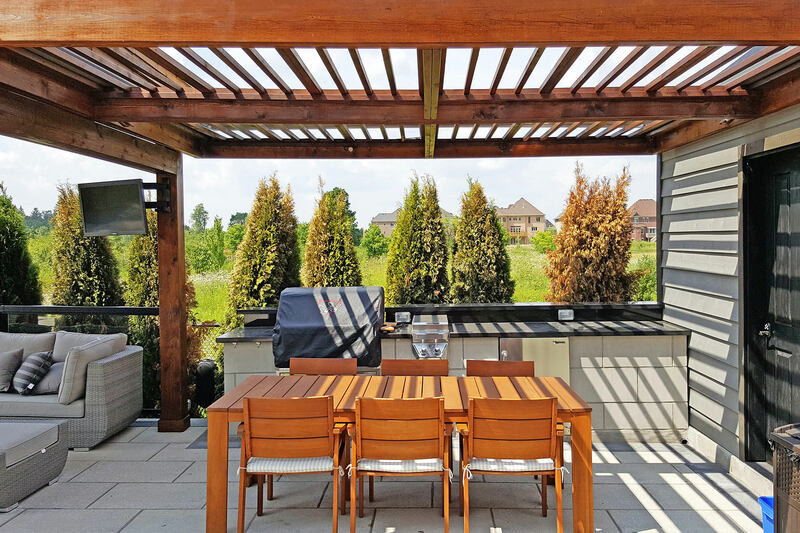 Whether you’re looking to upgrade your outdoor entertainment space, increase your cooking skills, or simply find a reason to spend more time outside, an outdoor kitchen is a great investment. We can help you protect your investment. Contact us.